Growing up in the Pacific Northwest, psychedelic mushrooms were a childhood pastime because of how abundant they are. It wasn't an unusual sight to see a group of teens hop the fence of a pasture with 30-gallon trash bags and flip over cow patties which is one of the most common places to find them. 😊 Fun fact of the day: Magic Mushrooms grow from cow dung. Psychedelic mushrooms like Golden Cubensis are a mainstay in the culture of the Pacific Northwest and I can't think of a single time anyone was ever injured as a result of eating them. Most of the time, people who ate them would become giddy and often laugh hysterically, but every so often you would hear of someone having a "bad trip". So if these "magic" mushrooms are so common and can be harvested by the garbage bag to be enjoyed by hundreds of people, why is it they have labeled them a Class A drug? That means that anyone found in possession of two kilograms or less will face a class B felony which carries a punishment of up to 10 years in prison and up to a $25,000 fine, or both. This classification seems extreme for a simple fungus that grows everywhere in the Northwestern states and now people are finally starting to realize that sending people to prison for possessing them is a little crazy. 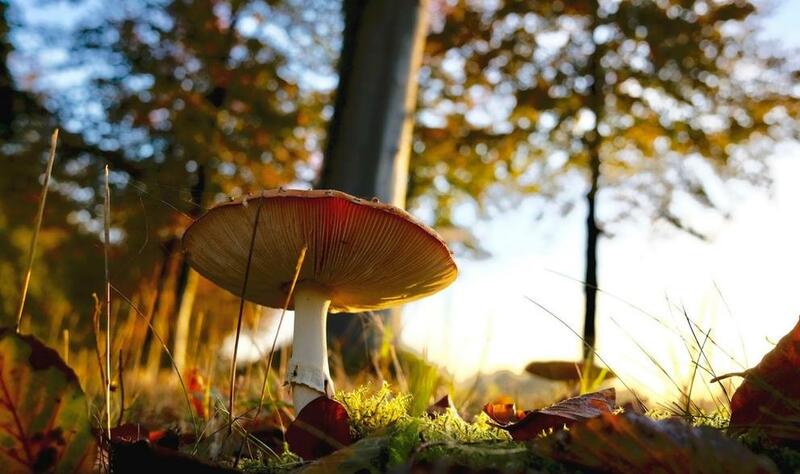 Researchers are even finding positive benefits of taking psilocybin, the hallucinogenic ingredient in magic mushrooms, such as helping ease symptoms of people with post-traumatic stress disorder (PTSD). Another study showed that psilocybin can even help heal and repair brain cells. It's about time that magic mushrooms are legalized alongside marijuana and apparently Oregon's attorney general agrees. Oregon's AG Ellen Rosenblum has approved language for a ballot measure that would make psychedelic mushrooms legal. The measure would be the first in the country to legalize the fungi. The new measure would reduce criminal penalties for the manufacture, delivery, and possession of psilocybin and in a tweet, the Oregon Psilocybin Society said it will start collecting the 140,000 signatures required to get the measure on the ballot in 2020. An odd fact is the number of signatures required to get the measure on the ballet is equal to the population of Salem, Oregon. The Oregon Psilocybin Society's website says there is more and more evidence each day that the drug is not only safe, but effective in treating ailments such as depression, anxiety, PTSD and, as bizarre as it may sound, drug addiction. In the 1960s, the government studied hallucinogens and one man who participated in these studies is named Ken Kesey. Kesey is an author from Eugene and somewhat of a counterculture figure. After their research in the 1960s, the federal government began controlled use of mushrooms in the 1970s. When news agencies reached out to Oregon Attorney General Ellen Rosenblum for comment, a spokeswoman said the agency doesn't comment on ballot measures. There was a similar push to legalize mushrooms in California but the influence of lobbying groups and pressure from Big Pharma caused it to fail. Anything that is naturally occurring, that requires no process of chemical alteration, to use, should be 100% legal. To claim otherwise is to claim that the almighty makes mistakes and didn't have a purpose for creating these things. Cannabis is a perfect example. You were literally created to use it. If you weren't, your body would not contain the Endocannabinoid system, which is designed to take full advantage of the amazing chemicals that are ONLY produced by Cannabis and Hemp. Time for Christians to stop wanting this silly war against what the creator has created, for us.